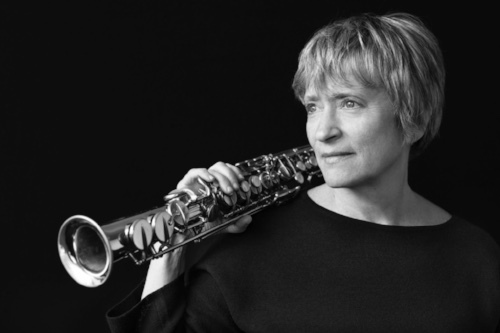 Award winning soprano saxophonist Jane Ira Bloom returns to Yale University for a performance with her quartet at the Yale Jazz Festival on Friday, April 12 @ 8pm. She’s joined by long-time bandmates Bobby Previte on drums, Dominic Fallacaro on keyboards and bassist Cameron Brown for an evening of high wire improvisations on the groove. They’ll be performing selections from Bloom’s “Like Silver, Like Song” recording project. Don’t miss this special one time event.